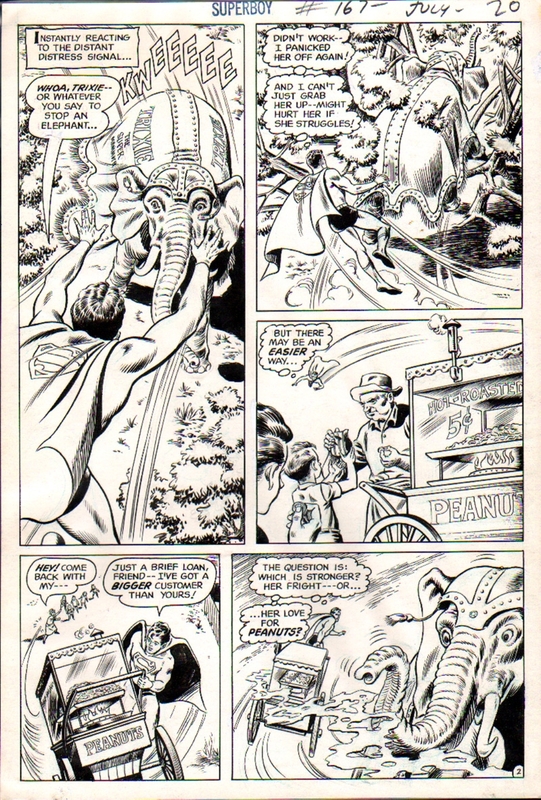 VERY nice 1970 Superboy action page with Superboy Throughout! Pages has FINISHED pencils and FULL inks by the great MURPHY ANDERSON! COOL!